Read AMarkets forex broker review, rating and detail information for their services below. AMarkets founded in 2007 as Adrenalin Forex. AMarkets initially known as AForex and operated by AMarkets LTD. They are an award-winning global forex and CFDs broker. AMarkets has also branch offices in Kazakhstan, Georgia, Armenia and Montenegro. This broker offers trading services on a wide selection of products such as bonds, currency pairs, commodities, cryptocurrencies, and equities. AMarkets is regulated by the Financial Commission. Furthermore, they are the part of Financial Commission. This commission has a compensation scheme, which provides compensation up to $20,000 per case. AMarkets won the following awards for its product offerings and services. First of all, AMarkets provides MetaTrader 4 platform developed by MetaQuotes Software to its clients for an efficient and reliable trading experience. Above all, they also provide Mobile trading app onto the smartphone. The app is free and can be downloaded from Google PlayStore and Apple App Store. The spreads at AMarkets are in the form of fixed and floating spreads. Spreads for the Classic account are fixed while Direct and ECN account have floating spreads. AMarkets Supports Bitcoin deposits, Bank Wire transfer, Credit cards and eWallets for deposits and withdraws. Withdrawals are also imitated through the same methods used for depositing the funds. AMarkets is having a promotion where you will receive a 25% deposit bonus when you change broker to AMarkets. Other current promotions included the lowering of the minimum deposit requirement for the ECN account from $5000 to $1000. Customer support at AMarkets is responsive and there are several ways which you can get in touch with the support team such as email, Skype, Live chat, telegram, and telephone. You also have the benefit of multi-lingual support as the support team is multilingual. For trading accounts, AMarkets has 4 main types of accounts. For the Classic and Direct accounts, there is no minimum deposit requirement. 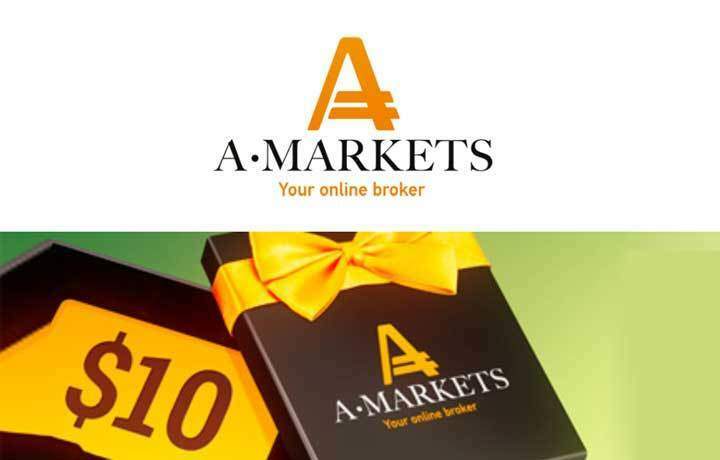 First of all, AMarkets is a reliable award-winning FX broker with almost 10 years of experience in the industry. Moreover, they are offering a variety of trading instruments, platforms, account types and solutions to its clients. Likewise, Ernst & Young, one of the biggest auditing companies in the world, and part of the “Big Four”, audited the financial credibility of AMarkets. However, by using the latest trading technologies, AMarkets today handles up to 10,000 trading transactions a day in a safe and secure environment. CFD Trading: Learn How Contract for Difference of Trading? The support guy cannot explain why there is a 50 pip difference between profit and loss number and pip correlated number? Hello everyone, my name is Navs. Once I tried ?Amarkets platform in 2016 since that time I can not say about any bad things. only verification takes a bit longer then it should be and withdrawals take some time. But overall it’s a really good broker and i can say exactly you’ll be glad to trade with it. The market is good broker, they give me no deposit bonus, and I can withdrawal profit after making 2 lot trading, I’m using emoney fasapay for withdrawal. As I know they don’t have live support and its weird. But overall they are good and paid my withdrawal. Amarkets is one of the most appreciated brokers in my opinion. You have the option to trade micro or mini lots using scalping and I am happy that they are also offering ECN. Their server is always good and stable and I never had any problem with them. I was registered last year and so far I have so much earnings in my account and I was able to withdraw very fast. Overall, I am very satisfied with Amarkets. Trading with AMarkets in 2 years, I think this is really a professional broker, because I have never had no major issue with them. 2 years ago, I have been introduced by one of my friend who is also a trader at AMarkets. At the beginning, I opened an account and I made deposit 150$. Then, I earned profit with 50$, and I decided to withdraw my earning. Their withdrawal is always on time and quickly. For example: last week, I made a withdrawal with 800$, and then I could receive money in my account within 5 hours. Trading with them in 2 years, I learn to manage the risk happened in the forex market, so I understand on how to manage money and get a right way to earn profit. Therefore, my fund is growing up over 1000$ at the moment, it’s awesome. In addition, this broker always improves the technology and service that serves to traders in trading. Especially, their customer support is helpful and professional, because they are 24/7 whenever I with contact them. In conclusion, I have good trades with AMarkets, and they are my best broker among other brokers!!! Can’t say anything less than excellent! these guys are great. with Amarkets, its so far, so good. Amarkets is one the best brokers in my opinion. They have trade micro or mini lots using scalping and they also offering ECN. Their server is always good and stable and I never had any problem with them. I was registered last year and so far I have so much earnings in my account and I was able to withdraw very fast. Overall, I am very satisfied with Amarkets. AMarkets has a bad support . Support people answered very late and some times didn’t answer at all.